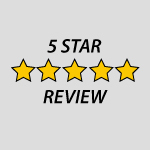 "Great company to work with and a wonderful customer service experience! Would highly recommend to others!" Home Insurance You want an agent and homeowners insurance coverage you can count on! Give us a call today! Life Insurance Let us help you find the right Life insurance coverage to fit your families needs. Started in 1930, Richardson Insurance has been prominent on the South Shore of Massachusetts for four generations. Recognized for our knowledgeable staff, commitment to our customers and community, and high level of integrity, the agency has served thousands of families and businesses with a wide range of insurance needs.